Made from Carbon Fibre and Nylon, they are incredibly light, unbelievably strong, and conduct electricity so they are permanently non-static. 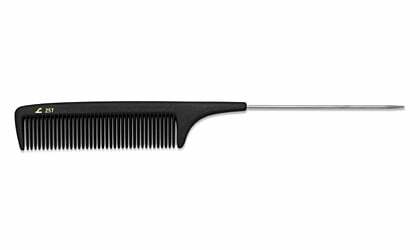 The platform artist's Comb. They outlast all other combs. Do not use sterilising solution, rinse under hot water only.